A builders' merchant business in Bradford recently took delivery of two brand-new Combilift C4000 forklift trucks supplied by Ability Handling. The depot has been in operation for more than three years using Combilift equipment supplied by Ability Handling on a short term hire basis. As these machines have proved so reliable and cost-effective, the company had the confidence to invest in new models of the same type, this time on a 5-year contract hire basis with a comprehensive maintenance package included. Ability Handling have been official Combilift dealers for two decades, being one of the first dealers in the UK to be appointed. With the largest hire fleet and used Combilift stock available locally, Ability Handling have unmatched product knowledge, experience and expertise in the Combilift product to the benefit of all our customers. Combilift forklift trucks utilise unique, patented design and components which are at the cutting-edge of materials-handling technology. The machines are equipped with an innovative 4-way steering system, which permits them to travel in any direction, even sideways. Excellent stability ensures that the need to travel or carry out complicated manoeuvres whilst loaded is minimised, improving safety and saving time, With a 4.0 tonne capacity which it can lift to over six metres, the Combilift C4000 is one of the most versatile machines on the market. Luke, who is the Yard Manager for the builders' merchant, said, "over the last few years, Ability Handling has been supporting our business to a very high standard and I have every confidence they will continue to do so with the new trucks they have supplied". 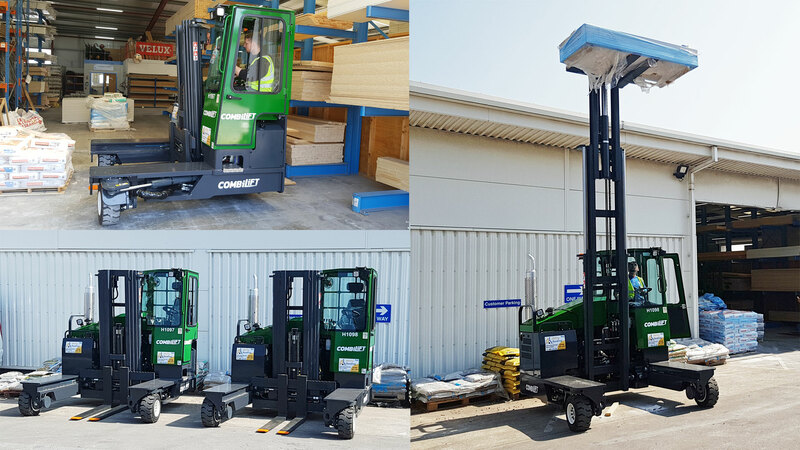 Find out more about Combilift vehicles on our website or get in touch with our sales team to discuss your bespoke requirements.